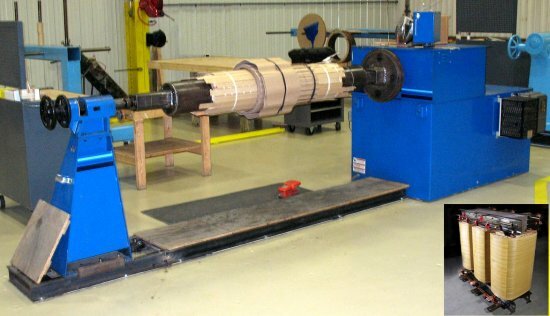 ACE heavy duty coil winding machines feature heavy duty construction including a tubular steel frame. With over sixteen variants in the heavy duty range of coil winders, you can find the right machine for almost all needs. 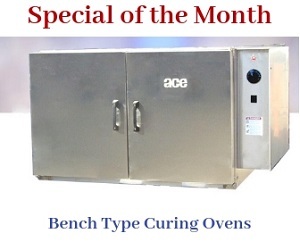 We also provide customized coil winders built to customer requirements. 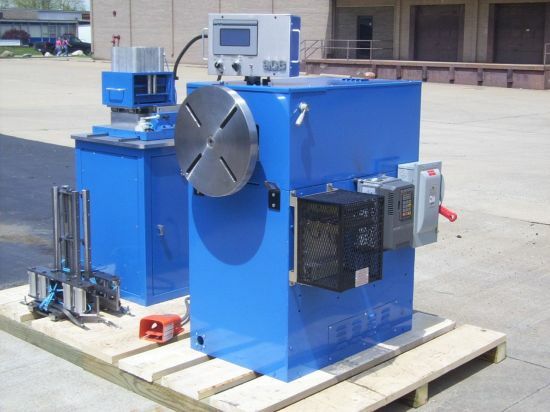 These constant torque winding machines feature AC Flux Vector Drives. The sixteen heavy duty coil winders offer versatile operations with extra high pulling power. Get more productive and efficient with an infinitely variable speed range. 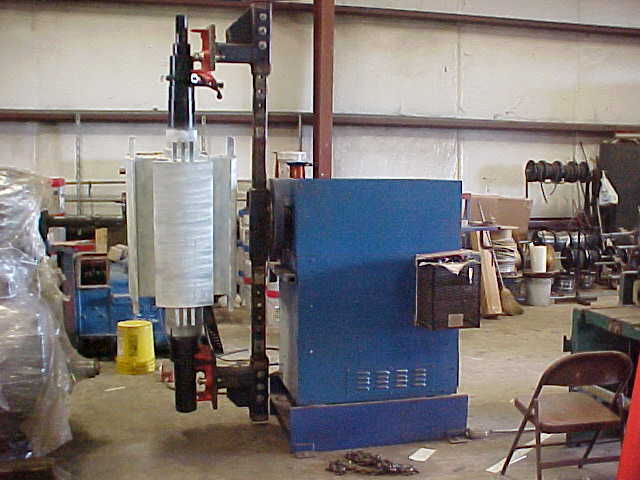 NOTE: The face plate loading should be reduced by a factor of 38% for each 12″ extension from the face plate. Count up to 999,999 turns with the help of this precise turn counter. This bi-directional turn counter can count turns in both forward and reverse directions whether the turns are being added or subtracted. Once the counter reaches the 999,999th turn, it will reset to count from 0 again. In the case of inertia override caused due to the varying loads and speeds, the machine can advance up to one entire turn. For accurate coil winding, this turn counter is a must. You can also opt for a touchscreen turn counter panel. The stopping position is within 100th of a rotation when the touchscreen panel is used. 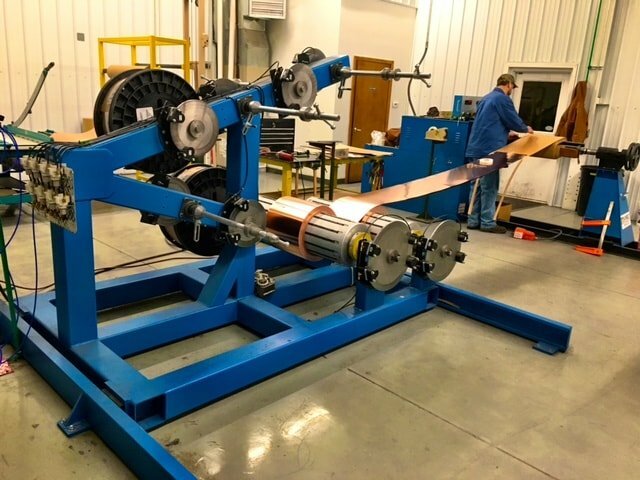 These heavy duty metal wire winding machines are equipped with soft touch top-mounted control panels as well as foot pedals. These features allow for precise speed control and flexibility when controlling speed. The user is free to use his hand or leg to control the speed. If he/ she is handling some parts of the machine, he can use the foot pedal. The panel mounted potentiometer can be used to preset the speed, allowing precise functioning. By using the potentiometer, the speed, and stop position can be repeated accurately. Experience jerk-free operation with the help of the flux vector drive that is integrated into every heavy duty coil winding machine. It provides smooth start and stop operation. The coil winding functions are accompanied by controlled acceleration and deceleration avoiding sudden jolts. 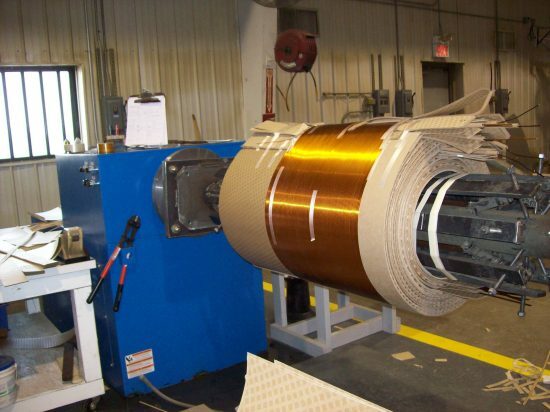 This is essential not just to get better winding of the coil but also for long life of components. The wires within the machine could break if the machine jolts into and out of operation. Smooth start and stop functionality helps in maintaining the longevity of the components. The speed of the machine can be controlled by the user alone. This ensures maximum safety. The foot pedal can be used to start, stop, or jog the machine. The foot can be taken off the pedal to bring the machine to an immediate stop. 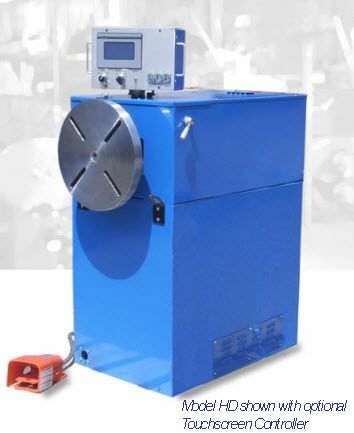 The heavy duty coil winders are integrated with Vector Drive Controllers that allow the user to program the acceleration and deceleration rates. It takes all of 0.2 seconds to switch from the forward to reverse operational direction. The easy to use machines offer several flexible options when working with them. The machine maintains enough tension during the coil winding process to reduce hand forming activities to a minimum. These heavy duty coil winders are compatible with large coils like rotors and distribution transformer coils. The power train drive modules supply high torque on demand. The flux vector drive motor is housed in a non-vent C-Face mounted enclosure. On the other hand, the flux vector drive controller is housed within a NEMA 1 type enclosure with a NEMA 4X rated keypad. The heavy duty housing of the machines keep the internal mechanisms of the machines safe from environmental and application hazards. This heavy duty machine features a face plate measuring 18″ in diameter and 2″ in thickness. Integrated with four T-slots, various models of winding forms, heads, and fixtures can be accommodated in the machine. Accurate positive stopping is possible with the help of the dynamic braking process. Full motor torque hold braking is possible even at zero speed. This ensures safe operation and complete control for the operator. It also keeps the operation jerk-free ensuring longevity of components. Pillow blocks are fabricated accurately ensuring anti-friction properties. The drive shafts are mounted on these self-aligning pillow blocks. All the HD models can be integrated with the VSSH Brake Spring Set Holding Spring that can be engaged when the winder loses its power connection. Cycloidal speed reducers are integrated with these machines allowing them to withstand shock loads that measure up to 500% of their rating. The speed and torque specifications are extremely important when looking at the coil weight capacity. Please refer to the table for additional information. The rugged heavy gauge cabinet that houses the mechanical, air, and electrical components is manufactured using formed metal. All the components are easily accessible. This reduces down time during maintenance activities. 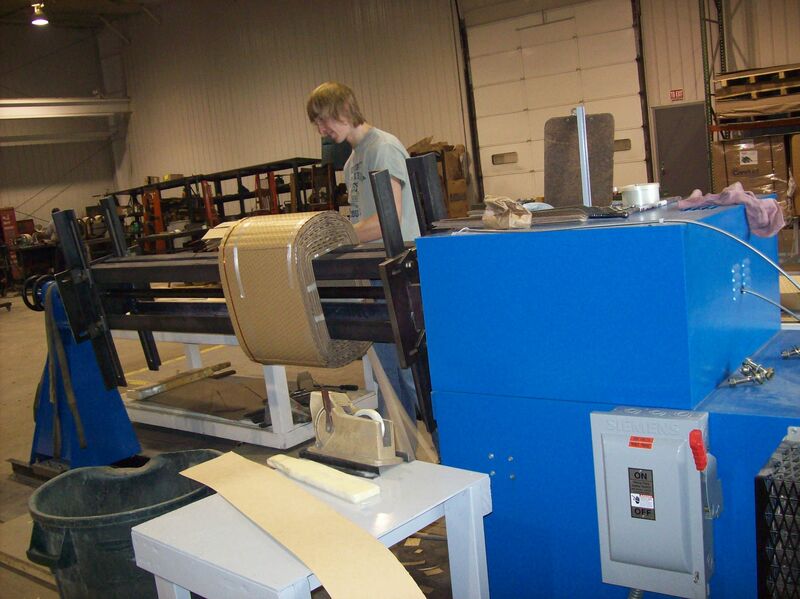 Modifications can be made to the winder in order to meet with customers’ speed and torque requirements.